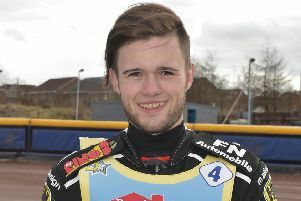 Edinburgh Monarchs No.1 Ricky Wells declared today that he and his team-mates must put last season behind them when the new speedway campaign begins next month. The American is still hurting from missing out on the Championship play-offs last year for the first time since they were introduced and is determined to avoid a repeat this time around. Wells, who will lead a new-look Monarchs squad for 2019, stressed: “You don’t really know until you begin racing how things will work out, but there is definite room for improvement. “It was a pretty big blow when we missed out last season but you cannot blame any single person. We had some pretty bad luck towards the end of the year, especially our home loss to Berwick in the wet. Justin Sedgmen and Cameron Heeps are the two main planks on which Monarchs will build their title challenge and Wells signified both Aussies have plenty to prove in the weeks ahead. He said: “Justin has lots of experience and rode for Monarchs before but has had a few years off. It’s hard not to have ridden in a while. “He’s got to try and come back and without doubt has a task on his hands. But, if he wasn’t keen to do it, he would not be making the effort to ride for Edinburgh again. “Cameron, by his own standards, had a shocking year last season and I don’t think he will be mad at me for saying that. Wells added: “It’s also going to be a big year for Josh Pickering and he could be pushing for a heat leader role if he goes well. He was disappointed at not doing better in the Aussie Championships in January and needs to gate a bit better around Armadale. 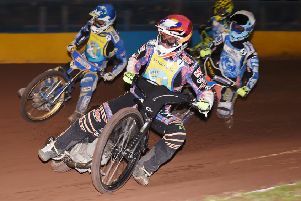 Wells, inset, is doubling-up this year with Premiership side Belle Vue Aces and is delighted to have joined probably the most famous club side in British speedway. He enthused: “Definitely looking forward to riding for them. They have a cool track. I’m also riding in Poland and Sweden too. “At the moment, I have a total of 85 meetings pencilled in. And, if Belle Vue and Edinburgh get through their various cup competitions, it could add up to around 100 meetings! “It will be a hectic season for me and I have got two mechanics, one based in Poland and another one in the UK. I need to have a good year. “I have always liked keeping busy. Sometimes in the past I had too few meetings and had too much time to think. “Doubling-up in past seasons is tough and I’m not going to be doing it forever, infact this could my last season. It’s not that easy and I don’t think people appreciate how difficult it actually is. “The travelling is the hardest thing and I’ll have a 400-mile round trip for Monarchs matches every Friday. That takes a huge toll on you, but I have good people around me and this will take a lot of the strain off me and make life a bit easier and hopefully I can get some good results in the process.